Have you experienced unexpected delays from the suppliers end, with no information forthcoming? Have you had to face angry clients and lose your reputation by delaying the shipment? Have you been cheated by freight forwarders operating fraudulent sites? Delays and lack of communication are a recurrent problem faced by importers/buyers when they order goods from China. And the other risk they face is of being cheated by dubious freight forwarders. 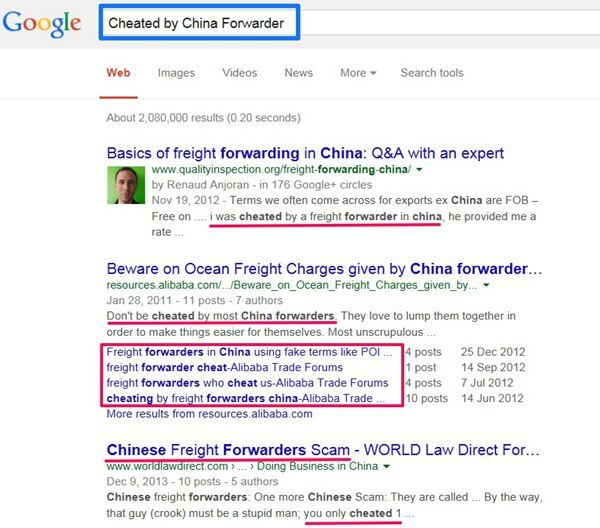 You just need to Google ‘Cheated by China Forwarder’ and you’ll find a volley of web pages from disgruntled importers asking you to beware of scams. It is understandable how posts on the Internet influence people. It is also comprehensible why most importers/buyers are wary of trusting local freight forwarders in China. They are more likely to find an agent in their own country to do the job for them or leave the shipping part to the supplier. These agents do not work from China, nor do they have offices there. They actually nominate some local freight forwarder in China to process shipments. Hiring an agent in your own country might seem to be practical solution; it is not without problems; while updates on shipments are not instant. Each time an importer requires an update he will need to contact his agent, who will check with his counterpart in China, who will verify the progress at his end and revert. There is usually a delay in this process because of the different stages of communication involved and difference in time zones further delays the response time. In instances where shipments are handled by suppliers there is often no communication from their end. At times consignments are delayed without an explanation, and at others goods are shipped without intimating the importer. This is why a reliable source in China is necessary, to handle your shipping transactions. Wouldn’t it be wonderful to have someone honest and dependable in China to keep track of the status of your shipment and keep you abreast with the progress? Someone who will arrange for packing and picking of goods, book with a carrier, complete all the documentation, obtain relevant clearances and ensure goods are shipped to you on time? Only a China Freight Forwarder can help you with all this and more. 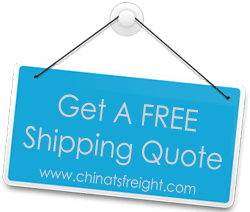 If your consignments need to be picked from different locations within the country; a China Freight Forwarder can have them picked up and arrange for consolidated shipment with best suggestions in very short time. Doing so can cut down the shipping cost considerably. The world has become a global village, thanks to the Internet. It makes it possible for us at TS Freight to reach out to you and offer you our services, even though huge distances separate us. We are a trusted name in the industry, and our work speaks for itself. We have been carefully nurturing our business, and providing our clients continuous, prompt and committed service for close to 10 years. We willingly go the extra mile in a bid to satisfy our clients. Given a chance we will prove ourselves to you. If you send us an inquiry we will need detailed information about the consignment to be able to give you precise rates. Exact information of trade terms are also required, to work out an accurate cost. We will need to know whether to quote for pick up, custom clearance and local charges in China or not. If trade terms are EXW, we will require the shipper’s contact to finalize custom clearance charges. Your supplier in China will need to have a dedicated export license or use a valid export document issued by an Import-Export company. In case the supplier does not have a license we will help them obtain one, at an extra cost. The quote we give you is valid for a certain period. In case your consignment is due to be shipped weeks later it is advisable to ask for fresh Ocean Freight and Air Freight rates at that time. Please feel free to mail us at info@chinatsfreight.com, if you have any queries and we will forthwith clarify all your queries and set all your doubts at rest. Once you have interacted with us you will realize how professional we are.